Rustic Elopement in Chianti – Jenine and Eric tied the knot in the beautiful Tuscany. This couple from California decided to elope in the heart of Chianti just with their families. 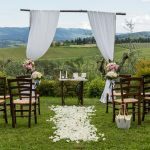 The marriage was celebrated in the stunning Montrogoli, a charming venue surrounded by enchanted forests, infinite vineyards and olive groves as far as the eye can see. 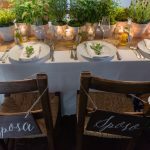 The rustic and romantic themed elopement was organised by Wed in Florence. 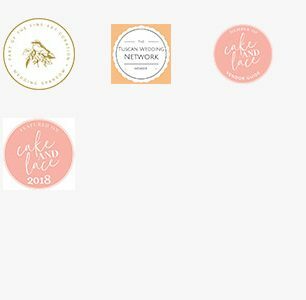 Aren’t you curios to know more about wedding decorations and the fab naked cake?! 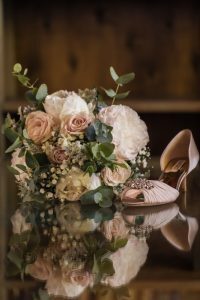 Discover with Wed in Florence the“Behind the scene” of this Rustic Elopement nestled in the Chianti hills. 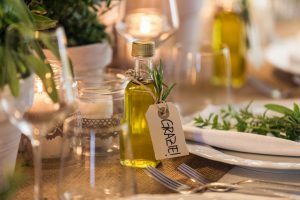 Wedding Favors: is there something more rustic of favors that merge together the true Italian food as Olive Oil and a rosemary stick with a pretty thank you card? A simple and lovely cute little bottle for a day to remember! Moreover everything was local! The Olive Oil was produced by a local farmer and rosemary came directly from a plant of Montrogoli’s vegetables garden! This added a much more intimate vibe to the gift for the guests. 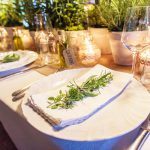 Table Decorations: we have fallen in love with this rustic (or simple) but enchanting table decoration. 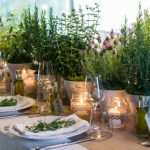 The beautiful plants, romantic greenery and local aromatic herbs were used to decorate the table for the dinner. In order to create a relaxing and cosy atmosphere, soft candles were used to add a special touch to the herbs of rosemary, lavender, thyme and sage. The mix of the little pots and lights was so beautiful and charming that made everything even more special. 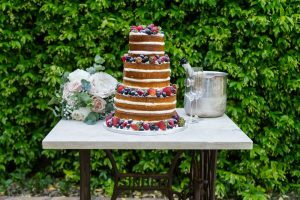 Naked Cake: a three layers cake that stands out. The cake, produced by Dolce Lab, an artisanal and artistic patisserie in Florence, looks amazing and handsome. An impressive sweet made with a cheese cream and fresh wild berries. A perfect mix to celebrate the union and the love of this splendid couple. The perfect touch for your special moment of cutting the cake. That’s all for now! 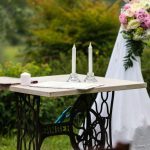 More pictures of this Rustic Elopement in Chianti to follow soon! Stay tuned and get a look at our Pinterest Board for more inspirations of real weddings organised by Wed in Florence!